The struggle to focus at work can be influenced by many things. Of course, if you are feeling stressed, emotional, tired or have other major life events going on it will be hard to focus. 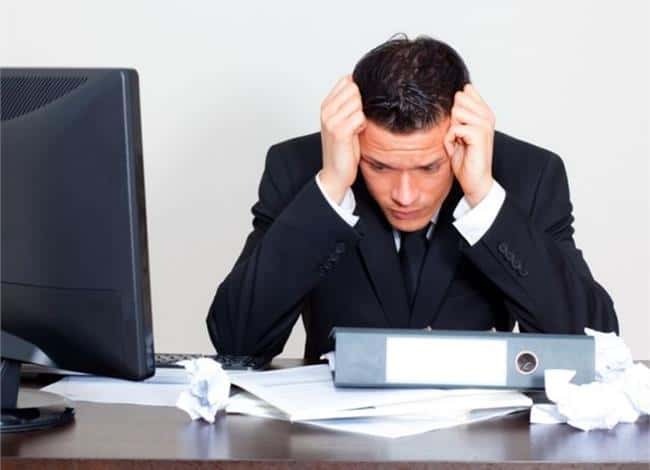 However, if you can’t really pinpoint why you are having a hard time focusing at work, try altering what you’re eating and drinking through the day. The food we eat not only gives the brain energy to function, but it can also influence blood flow to the brain, regulate neurotransmitter pathways, signaling between neurons (synapses) and affecting how messages get sent through the brain. A general recommendation for supporting brain function and overall health is to eat a diet high in flavonoids. Flavonoids are a type of antioxidant found in foods like tea, cocoa, beans and fruits. Flavonoids have been shown to be associated with better cognitive function (1), although more research is needed to clarify more specifically how flavonoids have a role in brain function. 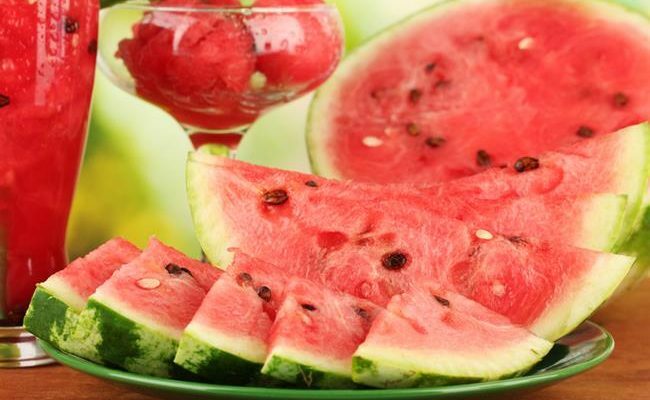 Some foods have been shown to increase blood flow in the brain, which could help you stay focused. Some specific nutrients, like iron or water intake, can also affect energy levels and brain function. Another way to increase your focus at work from food is to eat foods that promote sustained blood sugar levels. Foods high in fiber paired with protein and healthy fats can keep a constant energy supply circulating through the body. Foods high in sugar tend to surge blood sugar levels up then send them crashing down which can affect your ability to focus. 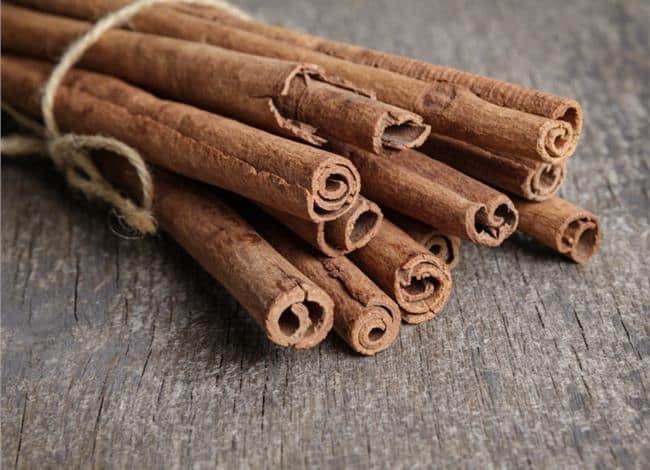 Smelling cinnamon has been shown to positively affect alertness and decrease fatigue. For example, a 2009 study (2) found when test subjects were given cinnamon to smell every 15 minutes during a prolonged driving course, alertness was increased. So, even just smelling different odors can influence the brain’s function, not just what we eat. Having a cinnamon air freshener at work may help with this, but eating cinnamon throughout the day may also provide the same benefit. Sprinkle cinnamon over yogurt, in smoothies, cereal, oatmeal or even savory dishes to add a different flavor profile. Adding in cinnamon in your breakfast and/or lunch could help give a boost to increase your focus at work. The study with cinnamon and brain function also found mint had a positive effect on improving alertness. 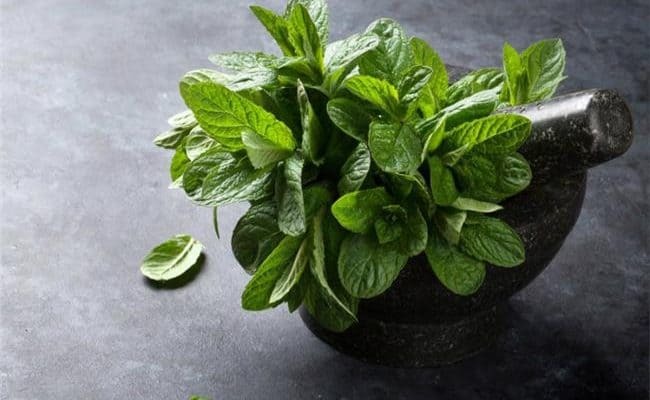 Mint also specifically lowered anxiety and fatigue in this study. Chewing mint gum through the day could provide enough mint flavor to help boost mental alertness. 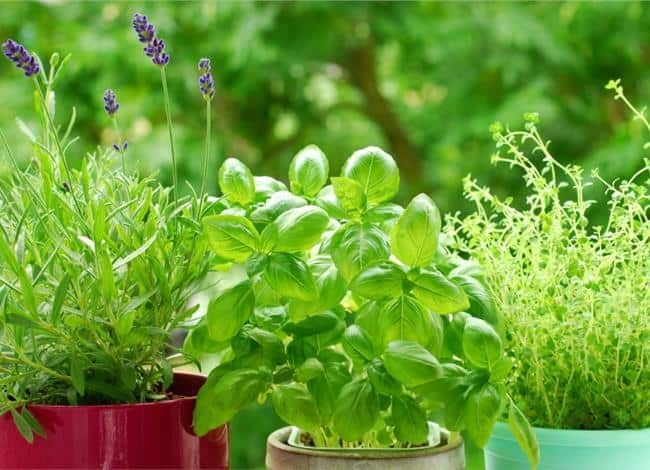 You can also add fresh mint to smoothies, in your water, drink peppermint tea or add in fresh mint to yogurt. The benefit of adding fresh mint to your breakfast or lunch is that you are also getting more antioxidants and fiber. Berries are a rich source of the antioxidant flavonoids. The way flavonoids positively influence health is still being understood from research. Eating a high amount of flavonoids is associated with a lowered risk for cardiovascular disease, stroke and dementia (3). Flavonoids are thought to impact health by improving blood flow and protecting cells from damage. Flavonoids may help improve blood flow to the brain which may lower risk for dementia but may also help boost brain function by helping to improve memory, focus or concentration. Eating berries throughout the day could help boost your ability to focus because of the supply of flavonoids. 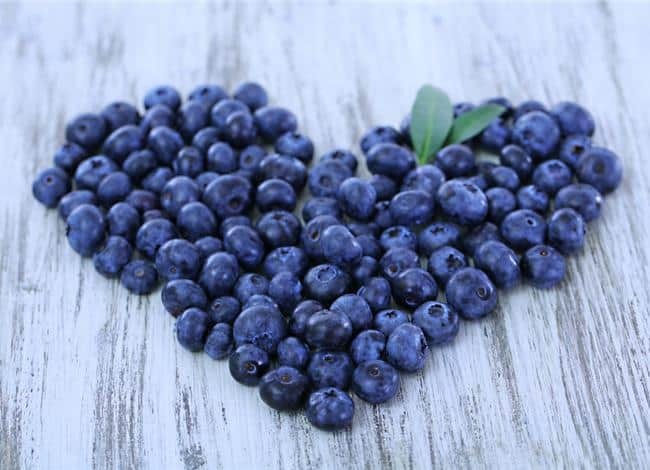 Add in berries, fresh or frozen, for breakfast, lunch and/or a snack to bump up your flavonoid intake. 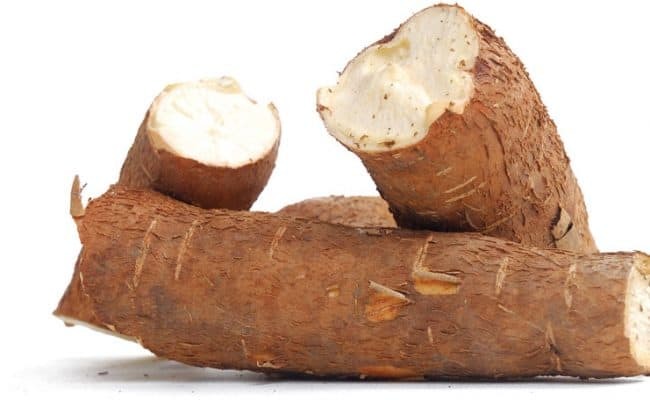 Besides berries, the cocoa plant is another source of flavonoids. 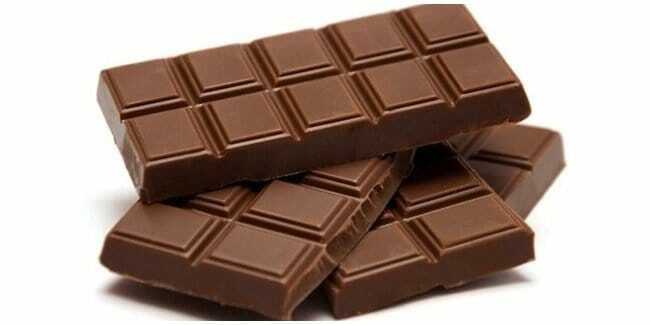 Eating a small serving of dark chocolate most or all days of the week is often associated with many health benefits. 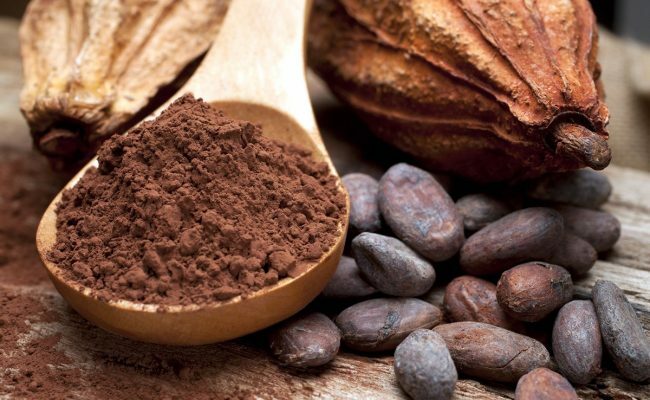 A 2016 study (4) suggests cocoa’s benefits may also include improving brain function. 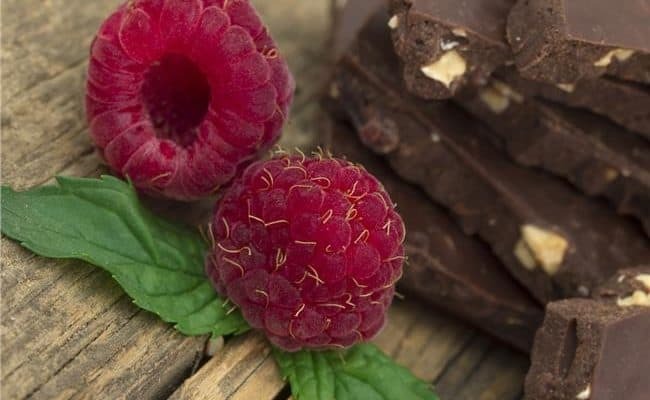 Researchers found more chocolate consumption was significantly associated with better cognitive performance, memory and reasoning in research participants. The study involved close to 1,000 participants and is one of the first studies to shed light on how chocolate consumption may influence brain health. More research is needed, but the study suggests eating chocolate at least once a week may positively affect the brain. This study does not give the go ahead to start pounding down chocolate bars at work. That will probably not help your focus at all. Instead, eating a small one ounce serving of high quality dark chocolate at least one day a week could help your brain function better. All this could translate to helping you to focus and maybe even helping you remember things better. 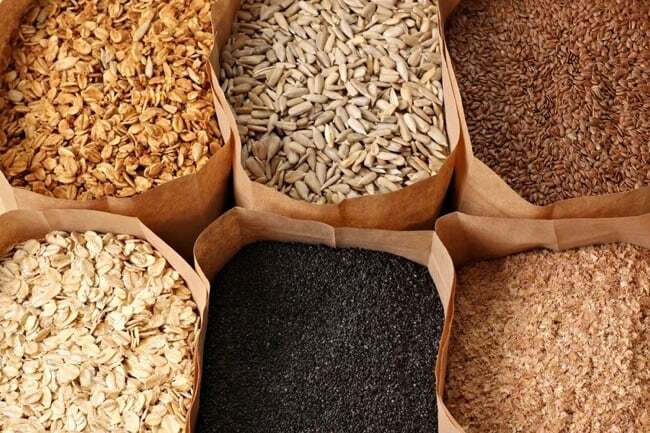 Eating foods like oats that provide fiber and protein can help stabilize blood sugar levels after eating. Having a steady release of energy from foods can help fuel your brain and could help increase your focus. When we reach for foods higher in sugar like donuts, soda or sweet cereal, blood sugar levels come spiraling high then crash low a few hours later. This rollercoaster of blood sugar levels can impact brain function and may make it hard to focus. 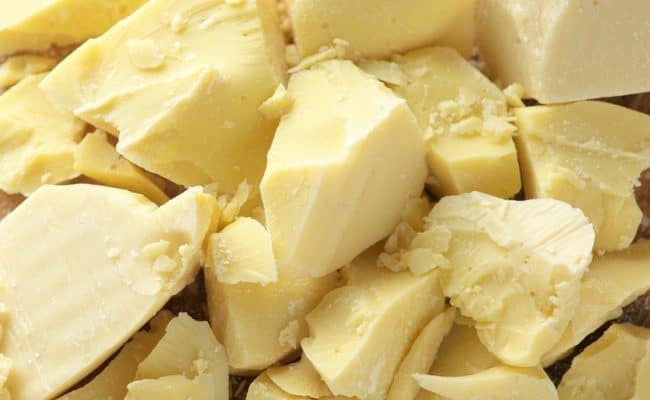 If you are really having a hard time focusing and have other health problems such as: low energy levels, headaches, dizziness, brittle nails, pale skin or cold hands and feet, you could be iron deficient (5). Trouble focusing could be a symptom of an iron deficiency or other underlying health problem. If you think your lack of focus could be part of a bigger health problem, speak with your doctor. 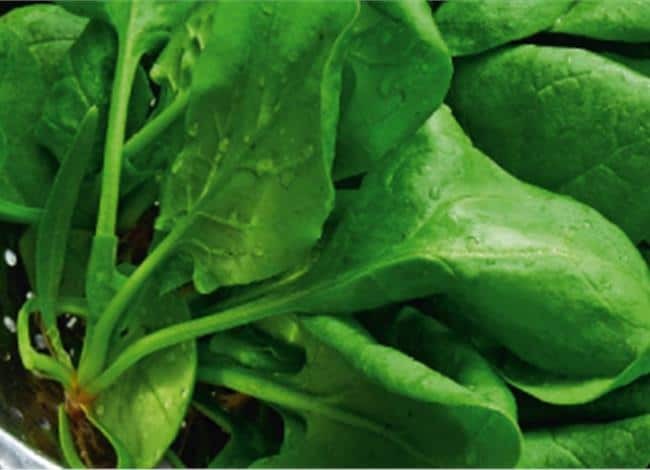 Women and vegetarians are at a higher risk for iron deficiency. Eating iron rich foods can help you get adequate iron intake in your diet which could lead to better mental focus at work. 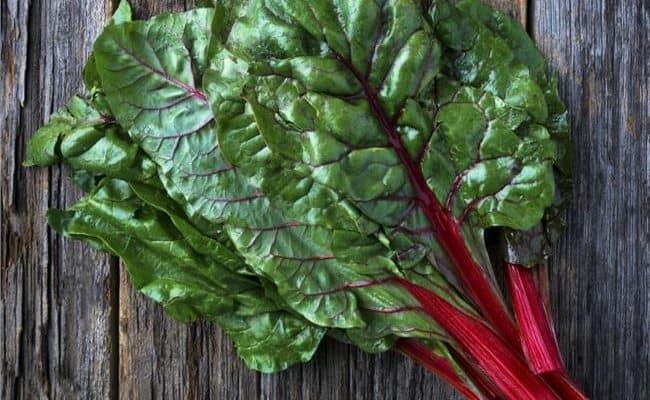 Foods high in iron include: lean red meat, sardines, seeds, legumes, green leafy vegetables, peas and iron fortified grains. If you are feeling fatigued, having trouble focusing or have a headache, you may be slightly dehydrated. 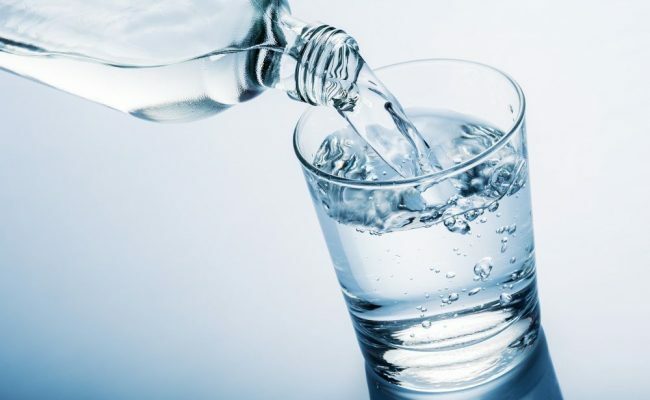 If you aren’t drinking enough water, difficulty concentrating can be a result. Simply boosting your water intake through the day could help you increase your focus at work. 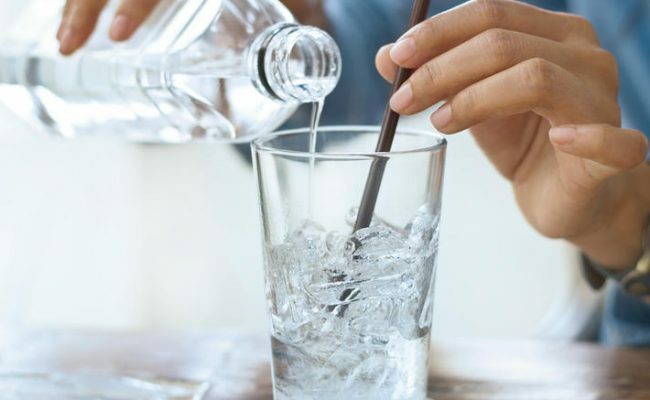 Don’t know where to start for drinking water? Aim for drinking 6-8 cups of water during the day. Individual needs can vary, but that can be a good place to start for fluid intake. For an added bonus, put fresh mint or berries in your water to provide even more nutrients to promote brain health.